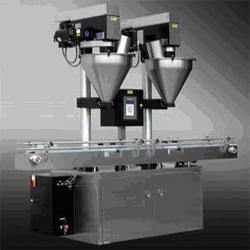 Our clients can avail these Dry Syrup Powder Filling Machine at very reasonable price in market. We are involved in offering our clients a world-class gamut of Automatic Single Head Augur type Dry Syrup Powder Filling Machines. These machines are ideal for different type & shape of bottles to fill all type of granules, talcum, spices powder, pulses and grains. Our machines are defined by industry norms & standards. We are the prominent manufacturer, supplier and exporter of Single Head Dry Syrup Powder Filling Machine. Our expertise lies in offering an exclusive range of single head dry syrup powder filling machine. The Semi Automatic Single Head Augur type Dry Syrup Powder Filling Machine are suitable for different type & shape of bottles to fill all type of powder, talcum, spices granules, pulses and grains. These machines can be availed by our clients at market leading prices. 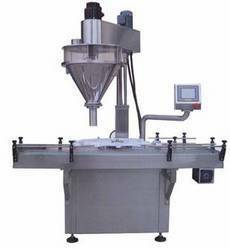 Looking for Powder Filling Machine ?